For sponsorship information, email Michelle at michelle@congressionalsportsforcharity.org. Since 1909 the Congressional Baseball Game has been an annual bipartisan event beloved by all and enjoyed by thousands. Members of the United States Congress from each party solidify friendships off the floor and on the field. 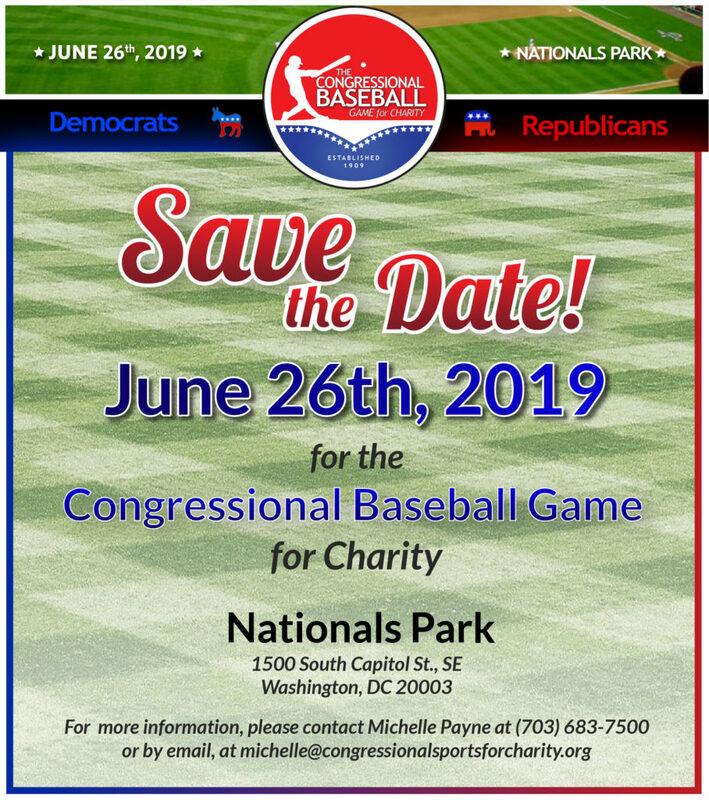 Over the last century the Congressional Baseball Game’s popularity has contributed to its evolution into a foundation called Congressional Sports for Charity that supports worthy and effective Washington, DC area charities. These charities include The Washington Literacy Center, The Boys and Girls Clubs of Greater Washington, and the Washington Nationals Dream Foundation along with the United States Capitol Police Memorial Fund in gratitude to the brave officers at the Republican practice shooting on June 14, 2017.